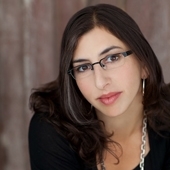 Rabbi Danya Ruttenberg is author of "Nurture the Wow: Finding Spirituality in the Frustration, Boredom, Tears, Poop, Desperation, Wonder, and Radical Amazement of Parenting" and Rabbi-in-Residence at Avodah. The Torah seems to command us to be happy, but are our feelings within our control? The work of covenant involves a lot less feeling and a lot more action. Was God responsible for the Egyptian leader's intransigence?